Widely experienced, erudite, affable and highly knowledgeable about political affairs and processes, Ram Nath Kovind is almost certain to be India's next President. This is a remarkable achievement for a man coming from a family of farmers in UP's Kanpur Dehat district, especially considering he belongs to the underprivileged Dalit community. Never much of a publicity-seeker, many eyebrows were raised when the BJP announced his name as its candidate for the office of India's President - who apart from being the custodian of the constitution is also the Supreme Commander of its Armed Forces. He was in the limelight only briefly as national spokesperson of the BJP some years ago, before being posted as Governor of Bihar. Mild mannered and a thorough gentleman, Kovind's choice by the BJP's helmsmen, Prime Minister Narendra Modi and the party president, Amit Shah, has once again been described as a masterstroke. By nominating a Dalit for the country's highest office, the BJP has put the entire Opposition on the backfoot. The Congress is at a loss for words to react, which was evident from Ghulam Nabi Azad's fumbling responses at its press conference on Monday, June 19. 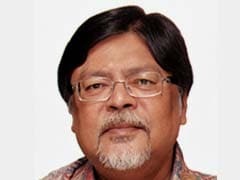 West Bengal Chief Minister Mamata Banerjee may condescendingly say: "Who is this man? Never heard of him", and one of her colleagues, a Rajya Sabha member, may well assert he had to find out Kovind's background from Wikipedia, but his accession as President seems unstoppable. The Opposition may still put up a candidate against him - the name of former Lok Sabha Speaker Meira Kumar, also a Dalit by birth - is already doing the rounds but clearly, the election is all over, bar the shouting! This nomination is part of Narendra Modi's conscious and aggressive attempt to reinvent the BJP as a party of the poor and underprivileged, discarding its earlier image as a "Brahmin-Baniya party", in other words an organization catering to the interests of the upper castes and classes. Embracing Dalits or Scheduled Castes who comprise over 19 percent of India's population is central to the Modi-Shah project to make their party's electoral base impregnable. It was in the run-up to the UP election campaign that the BJP strategized to reach out, both economically and socially, to the state's underclass. A plethora of welfare schemes launched by the Modi Government, particularly Ujjwala Yojana to provide LPG connections to the rural population living below the poverty line (BPL), has been a runaway success. The Direct Benefit Transfer (DBT) of subsidies has been an equal success, thanks mainly to the Jan Dhan Yojana that brought in millions of people into the banking system. Bank loans for aspiring small entrepreneurs under the Mudra Yojana has enabled many unemployed rural youth to start small businesses, making them self-employed on a sustainable basis. These economic benefits were combined with a massive social outreach. Visiting Dalit clusters in villages and dining at their homes by BJP leaders - a programme led from the front by BJP president Amit Shah - helped in convincing the Scheduled Castes that the party could no longer be considered anti-Dalit. As a result of this pincer movement to garner Dalit support, the BJP registered phenomenal success in breaking Mayawati's long-standing bastion. Dalits voted for the BJP in sizeable numbers in the UP assembly polls. Mr Modi had already breached Mayawati's Dalit vote bank in the 2014 Lok Sabha election by successfully selling his vision of a new, equitable India through dynamic economic growth under the slogan "Sabka saath, sabka vikas". In the assembly polls this year, the BJP did even better, reducing Mayawati's numbers in the legislature to a paltry 19 seats. Dalits, incidentally, were also enthusiastic supporters of demonetization as they witnessed their oppressors such as the local money lender fret and fume in impotent rage. With nothing much to lose, Dalits derived a sort of vicarious pleasure in seeing the privileged classes squirm. Arguably, this has not been a one-way street. Oppression of Dalits continues. The Una incident in Gujarat was a fallout of the BJP's strict cattle protection policy. Dalits who deal with dead cattle and are engaged in the leather industry have been been gravely disadvantaged by some government policies including the recent ban of sale of cattle for slaughter. The riots involving Dalits and upper caste Rajputs in Saharanpur last month is another reason for Dalits to still harbor certain misgivings towards the BJP. The nomination of Ram Nath Kovind is best understood in this background. It is an integral part of BJP's grand plan to assimilate the poor into its electoral base. Although the Scheduled Castes are divided into many sub-castes, often not on the best terms with one another, the BJP's concerted outreach seems to be having the desired electoral impact. The Congress ruled India for over six decades, largely by welding together an electoral alliance of the upper castes, minorities and Scheduled Castes. The BJP knows that winning over Muslims, who constitute over 14 percent of the electorate, is a tall, virtually impossible order, at least in the foreseeable future. With the upper caste vote firmly in its kitty, the BJP can ensure it becomes the natural party of government only by getting Dalits into its fold. They are among the few communities that are scattered over the whole of India. They have consistently voted non-BJP parties, mostly the Congress and of late, the Bahujan Samaj Party mainly in UP. Even a division in their ranks amounts to incremental support for the BJP and simultaneous denial of their vote to the Congress and BSP. To this end, symbolic measures count. Catapulting a home-grown Dalit leader to the office of President is certain to fetch allegiance of the Scheduled Castes to the BJP in a significant measure. While the Congress did pitchfork a Kerala Dalit, Dr KR Narayanan, to that position, it failed to generated widespread enthusiasm among Dalits in North India, where they are more numerous and better organised than in South Indian states. First, Dr Narayanan was part of the Dalit privilegentsia, having been a successful diplomat. Second, he was never into mass politics and hence not well known to most Dalits. 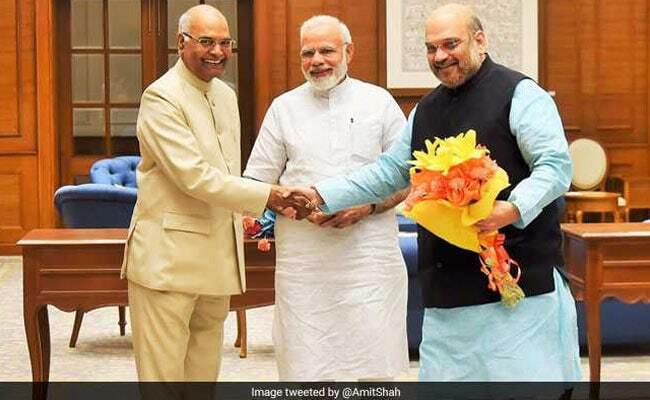 Ram Nath Kovind may not be highly recognized outside his community, but as a long-time BJP activist and former president of the BJP's Dalit Morcha, he has a grassroots connect at least with UP Dalits. The BJP's impressive propaganda machinery can be trusted to communicate this gesture effectively to Dalits across India. So from every political standpoint, the choice of RN Kovind as President of India will help the BJP immensely. Moreover, being a well-educated lawyer and constitutional expert is certain to ensure that he discharges his new role with circumspection and impartiality.